Only openings are DoomSquadCBLOCK - 50 min. Are you in a dying guild looking to get your foot into a Global Guild family? Now is your chance! We have 3 spots open in DoomSquadCBLOCK so bring a friend too and we can can get you moved up next time we have openings. This is our new recruit holding guild and training guild. Join today and climb our guild ladder! Doom Squad CBlock is a fun place to play...no pressure and lots of good strategy advise from higher level players. Space in DoomSquad 900 min this week request now !! We will have an opening in DoomSquad - 900 min come Monday, please message me to reserve your spot! 🚨We are now open to take on a small merger looking to join our family! Are you in a dying guild looking to get your foot into a Global Guild family? Now is your chance! We have spots open in DoomSquadCBLOCK and DoomSquadLegion so bring your friends along and we can can get you moved up next time we have openings. Message me for details. Don't miss out on this exciting opportunity to help get your guild back on track and earning the guild awards you all deserve! Only 1 spot in DoomSquad Inc - 500 min. Join now before it's gone! All main guilds are now full. 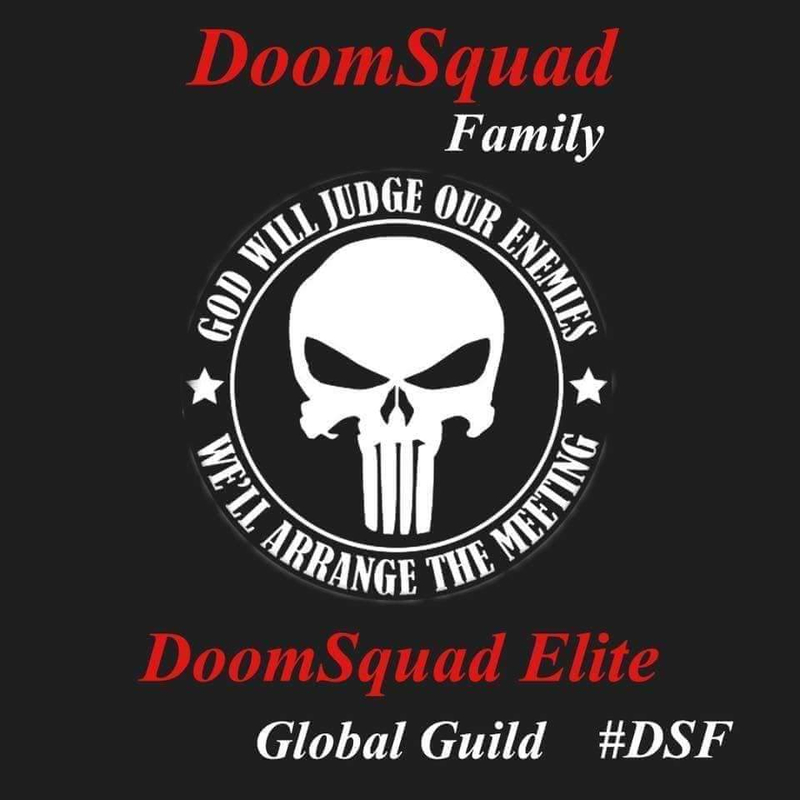 We still have 3 openings in our entry / holding guild, DoomSquadCBLOCK - 50 min. This is an excellent way to get your foot in the door to a global guild family and 1st to be moved up to our higher guilds when openings occur! 💀We are currently seeking high level players for our two global guilds for next challenge. We are open to visitors and perminate players. Don't miss out on this rare opportunity! Message me to secure your spot before they are gone!